UFC Fight Night 143 is here! UFC Fight Night 143 is set to take place this weekend. The show is the very first UFC event of the calendar year and has managed to garner quite a lot of excitement in the lead up to it. Since it is the first show of 2019, it also marks the debut of UFC on ESPN, starting off their 5-year televising contract. 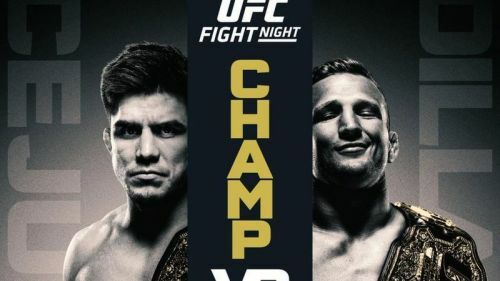 UFC Fight Night 143: Cejudo vs Dillashaw, also known as UFC on ESPN: Cejudo vs. Dillashaw, will be headlined by a title bout. UFC Bantamweight Champion, TJ Dillashaw is coming down to Flyweight to challenge Henry Cejudo for the UFC Flyweight Title. In the co-main event, Greg Hardy will take on Allen Crowder in his UFC debut. Time: Early Preliminary Card: 6 PM ET, 11 PM GMT, and 4:30 AM IST (20th Jan). You can watch UFC Fight Night 143 Early Preliminary Card on ESPN+, UFC Fight Night 143 Preliminary Card on ESPN and the main show will be available on ESPN+. Start time: UFC Fight Night 143 Early Preliminary Card begins at 4:30 AM in India. The main card begins at 8:30 AM.